Florida homeowners prepares for the hurrican season. 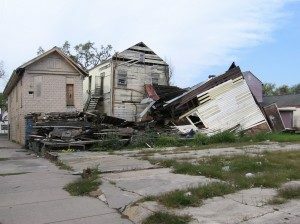 Homeowners, be prepared for hurricane season! CITRUS COUNTY, Fla. – June 12, 2017 – Up until last year, Citrus County had been spared the devastating effects of a tropical storm or hurricane. But along came Hurricanes Hermine and Matthew and, for the first time in recent years, homeowners got a sobering reminder of the devastation rain and wind can do to property and houses. The National Oceanic and Atmospheric Administration’s (NOAA) is forecasting 11 to 17 named storms this hurricane season. Florida Realtors is urging homeowners to start preparing now before it gets too deep into hurricane season. Chris Hackett, senior director of personal lines policy with the Property Casualty Insurers Association of America (PCI), encourages homeowners to use this quiet time to prepare. “We encourage residents to not let their guard down and take the necessary steps to be financially ready if a storm were to hit,” Hackett said. In addition to reviewing your financial documents and asking about additional coverage options, PCI is also urging homeowners to do a home inventory. • Hurricane winds can cause trees and branches to fall, so trim or remove damaged trees and limbs to keep you and your property safe. 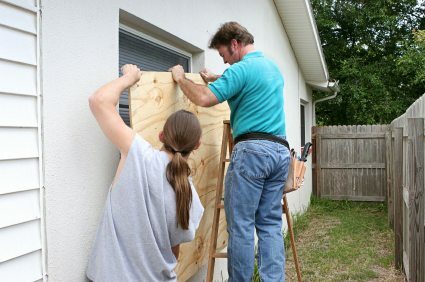 A father and son working together to install plywood over windows in preparation for a hurricane. • Reduce property damage by retrofitting to secure and reinforce the roof, windows and doors, including the garage doors. • Purchase a portable generator or install a generator for use during power outages. Keep generators and other alternate power/heat sources outside, at least 20 feet away from windows and doors and protected from moisture. Never try to power the house wiring by plugging a generator into a wall outlet. A final tip from the National Weather Service: Find out if you live in a storm surge hurricane evacuation zone or if you’re in a home that would be unsafe during a hurricane. If you are, figure out where you’d go and how to get there if told to evacuate. You do not need to travel hundreds of miles. Identify someone, perhaps a friend or relative who doesn’t live in a zone or unsafe home, and work it out with them to use their home as an evacuation destination, according to the NWS. Copyright © 2017 Citrus County Chronicle, Michael D. Bates, Landmark Community Newspapers LLC (LCNI). All rights reserved. If you are thinking of Selling or Buying Real Estate in the Tampa Bay area, Call us at 813-319-6444.